Radiohead. Supergrass. Ride. Foals. Oxford has been and continues to be a fertile breeding ground for some top bands. The university city possesses a thriving live scene supported by great venues, a number of active promoters and Nightshift, a well-established monthly music magazine. 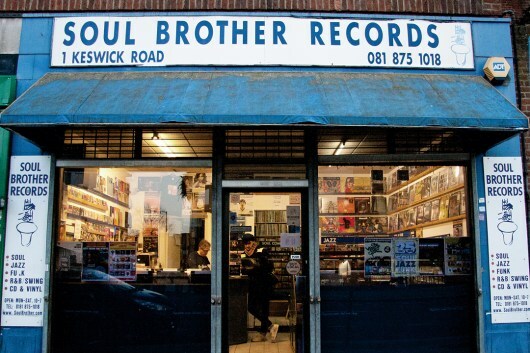 But until Truck Store popped up into existence, one hugely vital ingredient was missing – it didn’t have an independent record shop. If you want a dodgy analogy, it was like living in Hollywood and not being able to find a cinema. It was this dramatic realisation that inspired the team at Rapture to pull their fingers out and get more actively involved in working with the music scene. They did this by bringing local bands out from Oxford to Witney, and becoming an outlet for musicians from the area, as there was nowhere to buy an independently released CD. Then, in October 2010, Truck launched the Oxford equivalent of the Camden Crawl, a multi-venue festival called OX4. 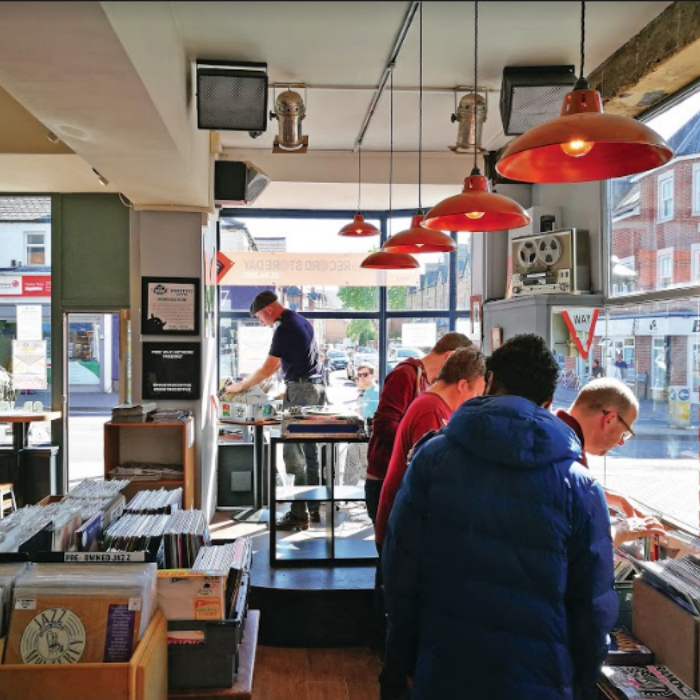 As part of the event, the Rapture team were invited to set up a pop-up record shop in an empty space on Cowley Road, recently vacated by movie-rental shop Videosyncratic. The dry run was an enormous success. 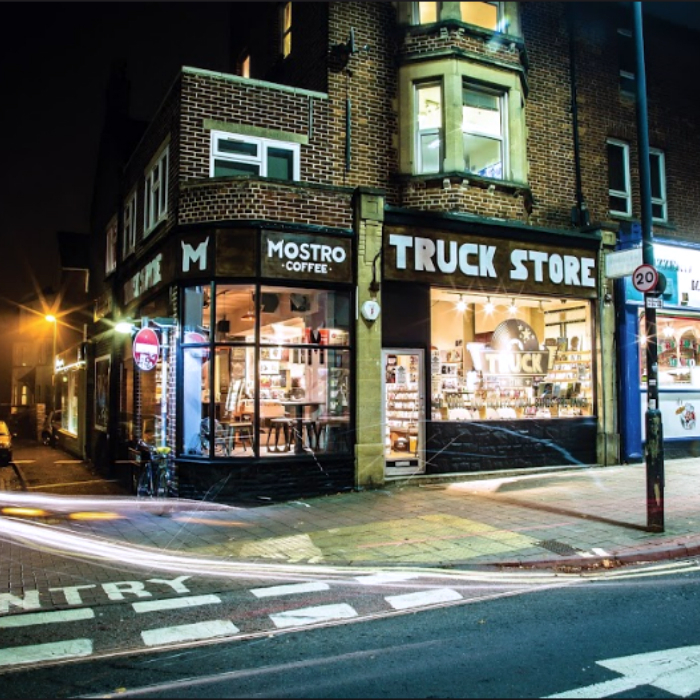 “We listened to those desperate pleas and three months later, in February of 2011, we had worked out a deal which saw the opening of a permanent record store using the Truck [Festival] name and monster logo, but run with the experienced music-retailing skills of Rapture.” Truck Store was alive and kicking and Oxford’s record-buying public could again feed their vinyl habit. Although no longer starved, the hunger clearly has remained and Carl can even remember the first big release to be a huge seller on vinyl in the newly opened Truck Store. “We grew it organically. There used to be considerably less racking than we’ve got now. Every time we do a refit or rejig in the shop, it’s always to make room for more vinyl. Truck Festival subsequently changed hands in 2011, with the brothers who started it now in St Etienne’s touring band, which means Truck Store no longer has any formal ties to the event. Yet there remains a desire within the shop to keep alive the original festival’s independent spirit. 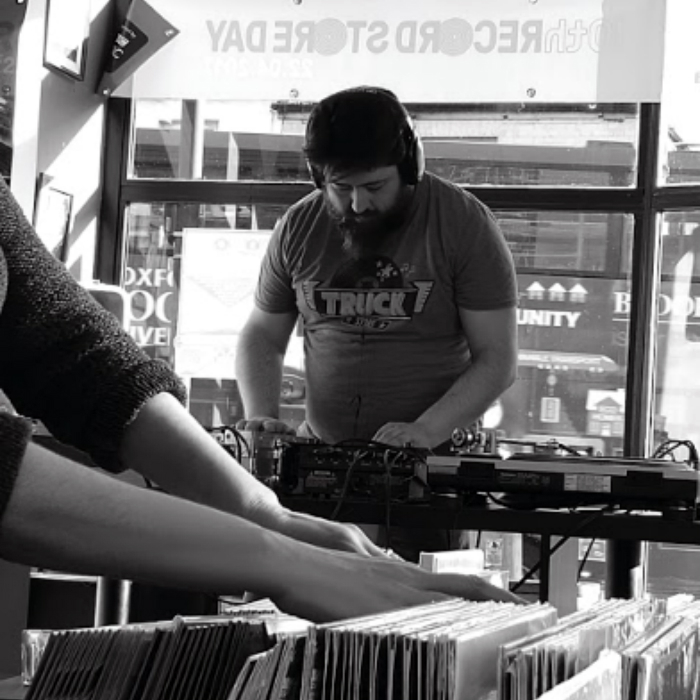 Right from the outset, it was clear to the Truck Store crew that it wasn’t just about flogging as many records as you can, and that live music, the local music scene and the community attached to it had to remain at the heart at what they do. 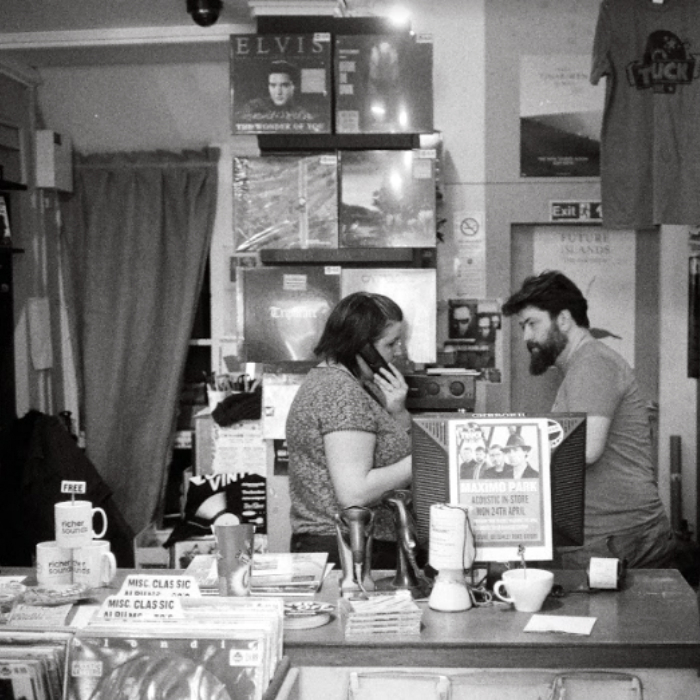 To this end, the shop is both a hub and a hangout for Oxford’s musically curious. For instance, Glass Animals played a stripped-back set when their debut came out, then returned for a signing when the second album came out. Foals rocked up for a signing when What Went Down was released; Gaz Coombes has been in for signings as well. Oxford’s ‘next big thing’, Willie J Healey, did an advanced listening event then played an in-store on the week of release. 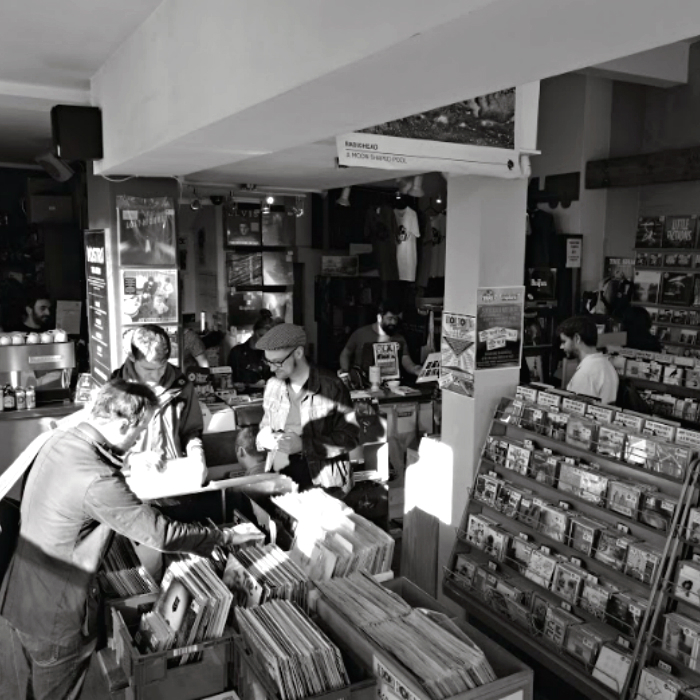 Stornoway, Solomon Grey, Young Knives… most Oxford bands of note have played in the shop. Then there have been countless local artists holding launch events, including Jonquil, Slate Hearts, Tiger Mendoza, Lucy Leave, Spring Offensive (“they should’ve been huge!”), Richard Walters, Salvation Bill, Ags Connolly and many more. A newish addition to the Truck Store experience is the in-store coffee bar called Mostro (which, as everybody knows, is Italian for ‘monster’). “This means the shop is always buzzing and brings in a different crowd,” says Carl. “Even if it’s just people coming in for a takeaway coffee, they get to sample the shop’s vibe. And, who knows, they might like what they hear playing on our turntable and buy an album to go with their espresso.” If they leave with a coffee, an album and one of the turntables on sale from the shop, then even better. During the course of our chat, Long Live Vinyl discovers that Carl’s background is in fine art, which he studied at Nottingham. You might not think that there’s an obvious link between his qualification and what he’s doing now, and Carl openly admits he got into music retail by accident. However, he firmly believes that the art world’s concept of curation is perfectly transferable into what he does for a day job. “That’s the antithesis of what we’re all about. I love Taylor Swift, I’m happy to listen to her albums and sell them. However, there could also be an underground pop artist that’s equally good that you can turn somebody on to at the same time. And on that bombshell, your Long Live Vinyl correspondent turned off the voice-recording app in disgust, hurriedly picked up his bag and brusquely exited the shop without stopping to say goodbye. 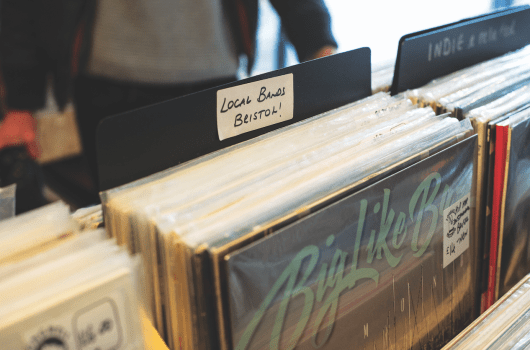 As if… actually, he did nothing of the sort, but instead took time to further browse the racks of vinyl and hang out in Oxford’s expertly curated and extremely welcoming independent music hub, Truck Store.